NWCF Invests $1M in Grants in 2018! Thanks to your generous partnership, NWCF was able to distribute $515,000 this grant cycle to 37 agencies doing effective work to heal abused children, strengthen fragile families and help at-risk youth. 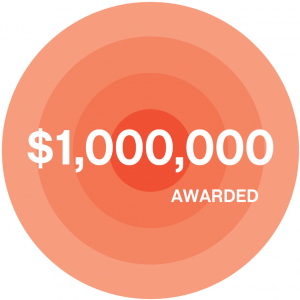 This brings our cumulative 2018 grant distribution to a record-breaking one million dollars. As we help more children and families, we grow our impact, and build a safer and brighter future for the next generation. Learn more about the spring grantees and their life-changing work.